Often we wonder who is responsible for working out our salaries or an organization’s earnings at the end of the month. Is it the upper management, is it our managers or is it done randomly by anyone and everyone in a company. Either way, somebody is responsible for carrying out the work of keeping financial records and accounts of an organization. This person has a title attached to him or herself – an accountant. Accounting is the methodical and detailed recording of all the financial transactions that pertain to a particular organization. It may also refer to the process, whereby an accounting expert summarizes, analyses and reports these transactions. This information is presented to the upper management, or any relevant body in the form of financial statements. Financial statements summarize a company’s operations, financial position and the cash flows over a certain period of time. These may be the result of a large number of transactions, entered into the company’s systems. Accounting is one of the most important and key functions of every business. It is usually taken care of by a book keeper and an accountant in smaller firms, and a large finance department with several employees at larger organizations. 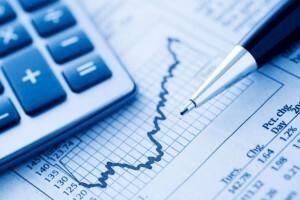 Careers with an accounting degree: Where do you stand? Many people feel that pursuing accounting, as a career is not for everyone. An individual must be adept and comfortable with looking at thousands of numbers every single day of the job. Even more intimidating is the fact that these are just not any numbers – these are numbers that matter and are the resultant of the hard work of hundreds and thousands of employees that are working in an organization. On the other hand, some feel that it is one of the most rewarding experiences of their lives and they would rather expand their horizon in the field of accounting with every given opportunity. Often, it is noticed that accounting, is depicted as a career choice for individuals who are risk-averse, introverted and prone to sit in their cubicles to crunch numbers all day long. This is absolutely not the case, as in reality, a career in accounting is quite rewarding, challenging and lucrative as well. A degree in accounting offers candidates a wide range of different career paths with tangible and intangible benefits. Although the salaries may vary according to the individual and due to various other factors, most accounting professionals make a comfortable living. This is especially true if he or she decides to work in the private sector or a local, state or federal government agency. According to research carried out in 2010, the average pay for accounting professionals and auditors was around $61,700 per annum (Bureau of Labor Statistics). Certified Public Accountants are usually able to churn more salaries due to their specialization in the field. Hence, the profession is rewarding in monetary terms as well. Unlike some careers which offer only limited exposure and career progression, accounting is a dynamic, lucrative and positive growth oriented career option. Accounting professionals who are attached with larger organizations are able to earn promotions and rewards as they go through the system. These individuals have a fair chance of cutting through the noise and making their way across different departments or regions to the head office level. In the corporate environment, accountants can climb up the career ladder and eventually take on different roles such as the company’s controllers, treasurers or even the chief financial officers. An individual who has earned an MBA degree, along with a certification in public accountancy is eligible to reach the highest position in the company. Some people get a kick out of a career which offers significant responsibility. For them, money and benefits are less appealing than the feeling of accountability and conscientiousness. To a large extent, a career in accounting offers this advantage. Large organizations as well as small businesses depend on their accounting professionals to give authentic data, as well as advice to decide upon the growth strategies that they might be considering. Moreover, the government uses accountants to help with financial forecasting and budgeting for their financial needs. Audit departments are also present to make sure that the funds are being utilized in the most effective manner. Some accounting professionals also have the power to give their input in policy decisions, which may have a significant impact on external stake holders involved. Everyone does not want to work for a large organization throughout their career span. If one thrives on autonomy and independence, self-employment is also a viable option for accountants who want to grow their own business. Becoming an independent accountant offers high earning potential as well. However, the success factor lies in the fact that the accountant must have superior time management skills, as well as a grasp over accounting. Now that we have determined that accounting, as a career, is actually a clever idea, it would make sense to look into the career description of an accounting professional. One of the best things about the accounting profession is that an individual can break into the field with an education at every degree level. An individual with an associate’s degree is eligible for entry level positions, while a bachelor’s degree will be a topping on the cake and provide more knowledge. Moreover, it will make way for an MBA or any other advanced degree. In order to become a certified accountant, it is necessary to obtain a CPA (Certified Public Accountant) certification. Candidates for this certification must pass a certain number of requirements which include holding a college degree, passing all examinations of the CPA certification and working for a certain number of hours under the guidance of an existing certified CPA. What does an accounting professional do? What Jobs can you get with an accounting degree or certification? There are many accounting professionals who specialize according to the requirements of the clients or the type of business they are planning to join. Most of the times, these specialization include assurance services and risk management. Accountants also have the option to specialize by the industry that they want to break into. 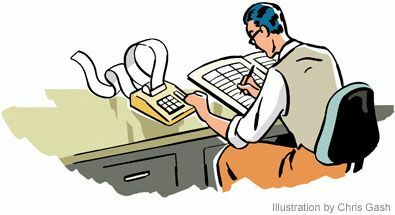 A bookkeeper is responsible for creating financial transactions and financial reports from the information that is provided to him or her by the organization that they are working for. This creation of financial reports consists of publishing information to relevant accounting journals or software which then processes the information and churn out invoices to customers, receipts of cash and invoices of the suppliers. Another function of the bookkeeper is to ensure accuracy of the accounts journals. Accounting clerks are responsible for the provision of accounting support to their accounting supervisors and leaders within the accounts and finance department. They maintain daily ledgers and are required to make sure that all the files are complete and maintained according to their ordained manner. Accounting clerks are also responsible for handling accounts payable duties and assist accounting personnel in their everyday tasks. An accountant is required to prepare, examine and analyze the accounting records and financial statements of an organization. One of the main functions of their job is to ensure accuracy and completion of these reports. Moreover, they are required to calculate the taxes and accounts payable to the different stake holders in a company. Other than this, they are supposed to analyze the different operations of the business, trends, costs, revenues and related matters, and give advice to the management accordingly. They are also responsible for preparing annual budgets for the company. A certified public accountant is responsible for the preparation and the analysis of financial reports for stake holding individuals and organizations. Moreover, they are involved in auditing financial reports for compliance and they also review the company’s financial position in order to ensure that there are no discrepancies and the company is not headed to bankruptcy. This entry was posted in Jobs in Finance and tagged accounting #accounting.